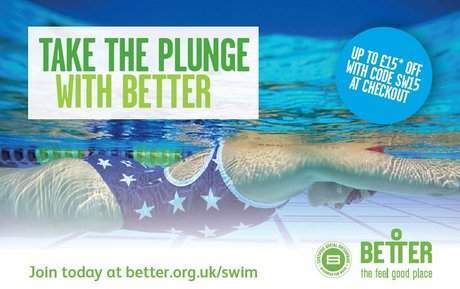 If you swim regularly during the week you can save with a Better Swim membership. From £32.50 per month, you’ll enjoy inclusive access to over 145 swimming pools including 8 outdoor lidos, at Better leisure centres throughout the UK. Join today and get up to £15 off your swim membership with code SW 15.